Sharon Freeman-Clevenger is the Founder and CEO of the Indiana Centre for Cognitive Behaviour Therapy in Fort Wayne, Indiana. She is an associate faculty member in Psychology and Biology at Indiana/Purdue Universities and former member of the Executive Board of Directors of the International Association for Cognitive Psychotherapy. 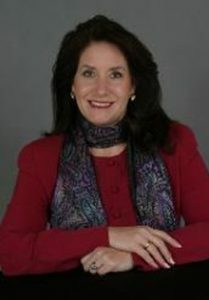 In addition to achieving national certification as an Advanced Practice Psychiatric Clinical Nurse Specialist with prescriptive authority, she has senior level international certification as an Advanced Practice Certified Addiction Nurse through the International Society of Nurses on Addictions (IntSNA) and is former President of NAADAC, The Association for Addiction Professionals. Sharon has lectured to professional and military/law enforcement audiences worldwide. She has authored more than 50 chapters and articles and has been a guest expert on the TV show, The Doctors, in the USA. She is the co-editor for both the therapist manual and patient handbook of Overcoming Depression: A Cognitive Behaviour Approach (Oxford University Press, 2009), senior editor and author of Living and Surviving in Harm’s Way: The Psychological Treatment Manual for Pre-and Post-Deployment of Military Members(Routledge, 2008), Behind the Badge: A Psychological Treatment Handbook for Law Enforcement Officers, (Routledge, in Press) and senior editor and author of Cognitive Behaviour Therapy in Nursing Practice (Springer Publishers, 2005). Sharon has a Master’s in Advance Practice Psychiatric Mental Health Nursing, a Masters in Counselling in Psychology and is currently pursuing a Doctor of Health Sciences at the Huntington College of Health Sciences in Knoxville, TN, USA.